recommended for: Fans of Throne of Glass by Sarah J. Maas, Frostblood by Elly Blake, and other magic-driven fantasy romances. 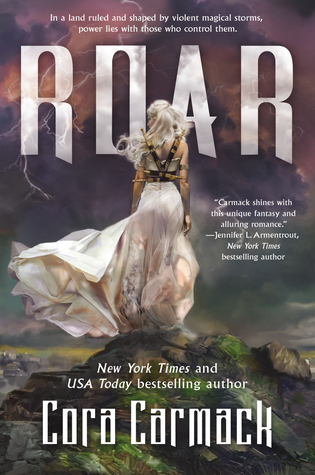 Roar is another one of those cases where I'd give the first half and second half of the book very different ratings. It starts out promisingly. The overbearing guy turns out to be sleazy. There's a fascinating magical system based around semi-sentient magical storms that plague the land, forcing anyone who wants to live into the protection of isolated cities controlled by powerful Stormling mages. Cool, right? But princess Aurora/Rora/Roar has no magic, and allying with sleazy overbearing guy might be her only chance of keeping her kingdom. Instead, she slips off on an adventure with roving Stormhunters. Steal the heart of a storm and she can claim its magic--and her kingdom, without saying any unwanted I Dos. 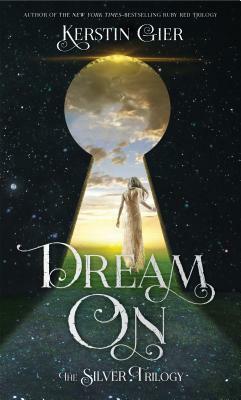 Seriously cool premise, and I love the girlpower! So, the first half. There are a lot of twisty threads going on. Rora is being trained in storm hunting by a motley crew of ethnically diverse hunters, while trying to avoid getting killed. I geeked out over the storm magic system, and it was exciting to read about those first few battles against storms. There were also other POVs interspersed. Broody storm hunter Locke basically existed to fawn over Rora, but you did get some interesting info about storms from his perspective. Then we got tantalizing glimpses of happenings back at the castle--Rora's ex-fiance scheming in a dastardly manner and Rora's best friend trying to thwart him. Then we hit the halfway mark. And the stuff I liked about the first half seemed to dither away by degrees. Rora and Locke spent way too much time running and wondering why they were attracted to each other (OMG how is it even possible I find his hot body hot!??111). Locke turned into a bunch of Alpha Male BS and the cool diverse side characters basically had no purpose other than Rora. The fiance and best friend's POVs seemed to vanish all of the sudden; seriously, I still have no clue why she even put them in there. And the buildup flattened out into a succession of nearly-identical storm battles, while all the cool stuff that happens in between is totally skipped over and occurs off screen! All in all, there's a lot to enjoy in Roar. The magic system is really freaking cool. It was fascinating to read about all the different kinds of storms and their personalities, and there were some really cinematic storm battle scenes. But all the cool plot threads were frayed to pieces in the wake of what was basically just another Twilight romance in stormy clothing. So much wasted potential. Roar is an NA romance dressed up as a fantasy, with a fascinating, unique magical system that is somewhat undermined by a stilted plot. will i continue the series? Maybe. If someone tells me it's really good. But I don't feel all that invested. Note: I received this copy from an independent bookstore as a free prize. The price of the book and its origin in no way affected my stated opinions.